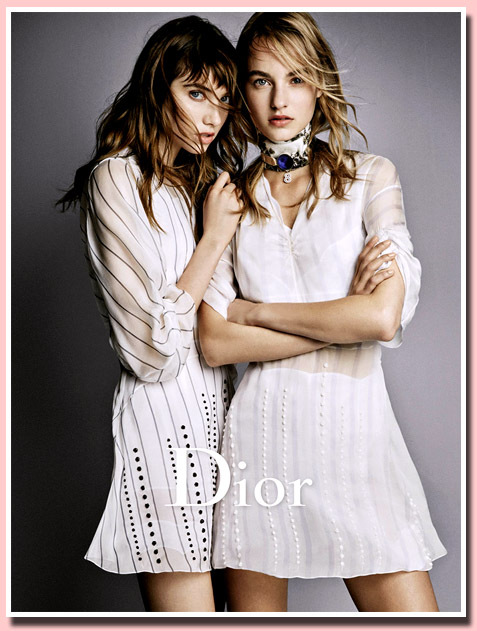 Our campaign supermodel of the year Grace Hartzel, and our catwalker of the year Maartje Verhoef, together for Raf Simons final DIOR campaign. The Spring 2016 campaign was shot by Patrick Demarchelier and also includes models Binx Walton, Roos Abels and Staz Lindes. Look for the full campaign film to debut Jan 20th on Dior.com . Career is on fire with 3 Calvin Klein campaigns for Fall 2015 alone.